This is the broadest compilation for Submarine Cable information anywhere including many high quality images, videos, submarine cable specifications, pricing, and much more. We have put extreme efforts into answering many of the questions we receive every day regarding submarine cables, and submarine power cables, giving you a comprehensive source for all the information you are looking to find. We have literally compiled a much better version for true undersea cable professionals of a submarine power cable Wikipedia, or submarine cable 101. As the leading supplier of submarine power cable in the USA and the leader of submarine power cable companies overall when it comes to custom constructions, we have the authority on giving you the best information on these undersea subsea submarine cables. First, lets define what is submarine power cable or “Submarine Cable“. Submarine cable definition: The definition of a submarine cable is specifically, a cable which has been manufactured to specifically be submerged underwater or specifically undersea. Being submersible is the key to a cable being defined as a “submarine cable”, but there are other important factors depending on the underwater electrical submarine cable construction, application, and specification. 1X Technologies is the choice for Submarine Cable Suppliers when it comes to high quality, American made Submarine cable. As the most unique electrical Submarine Cable Manufacturers & Suppliers of underwater Submarine cable made in the USA, we are proud to be your partner for your deepest submersible undersea subsea cable project. Manufacturing and supplying underwater submarine cables is one of our specialties. Whether you require just a few hundred feet of submarine cable for a drawbridge in shallow water depths less than 100 feet or if you need the longest submarine power cable in the world, many thousands of feet for the deepest submarine cable depths, deep down to the ocean floor 1XTech is the top choice for submarine cable manufacturers. Simply, we make submarine power cables work, and we make them work well. Custom XXXL Submarine Power Cable Designs for any industry, any type with Submarine power cable diameter up to 6 inches O.D. Contact us now to get your submarine cable price quote on all your submarine power cable types. To receive your submarine power cable price list please call 888-651-9990 or contact us via email now. We can supply you a price list either in price per foot, price per meter, or price per 1000 feet or thousands of meters. Whatever you need, however you need it just reach out to us now and request your Submarine power cable price list today. When it comes to the cost of submarine power cable per km, No one wants to purchase thousands or hundreds of thousands of feet of a very expensive cable product when they only need a few hundred feet. Even if the hundred feet costs 5 times more per foot than quoted, if we don’t need a million feet of cable this is the cost savings that the project requires. If I only need a short piece, not a mile of cable my submarine power cable cost per km is going to be more, but my overall cost to purchase is going to be far less. Conversely, if we have a customer come to us such as Google or Facebook who tell us they need hundreds or thousands of miles of Submarine cable we will be able to offer a much cheaper cost of submarine power cable per km. In that case the price per meter, foot, inch, or mile will be substantially less than someone who only needs to make a small run of cable for a bridge or a pump. Reach out to our sales team if you would like 1X Technologies to bid on your upcoming Submarine Power Cable Contract. We commonly work in partnership with the largest companies in the industry as their custom manufacturer so if you have a choice supplier in mind and you would like 1X to make your submarine power cable to fulfill your contract just let us know. The history of submarine cables is a long and crazy tale of money, war, winning, and loss, death and finally coming through with the ideal solution that actually worked! 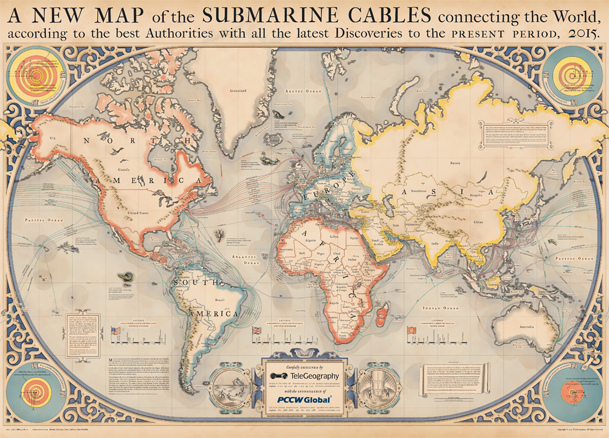 The idea of the first Submarine Cables began in 1839 following the introduction of the working telegraph. By 1851 the first submarine cable was being produced, and by 1858 the first cable was laid and functioning. As we have discussed, Submarine Power Cable and Submarine Communications cable are two different animals. When it comes to electrical submarine power cable, the very first submarine power cable to carry electricity was laid across the Isar River in Bavaria during 1811. Amazingly, in 200 plus years we have seen exponential improvements in the capabilities of Submarine electrical power cables. Submarine power cables have evolved significantly since then, through developments in technology and design, ever increasing in capacity and length. Click play and listen to the Submarine cable history on the 1X Technologies Soundcloud. You can listen while you read along. 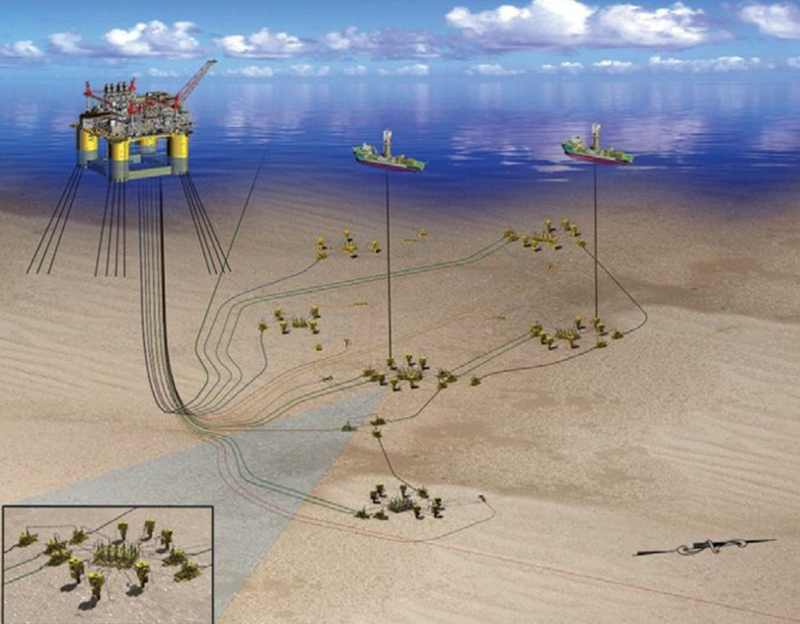 We excel in producing offshore submarine cables for our customers in the oil and gas markets. We supply you with submarine power cables used all around the world to distribute power between your Jackup Rigs and offshore installations. Our Offshore Submarine Cable designs are custom from start to finish. We specially engineer your undersea cables to suit the unique requirements of your job. Whatever you need to get done when it comes to Offshore Submarine cables 1X Technologies is your best partner to get the job done right, get your cable quickly, and get your operations running with little downtime. Our goal is always to get you the right product, at the right price, at the right time. Our slogan, “Because You Require Quality, Quickly!” is never more true than when we are producing a submarine power cable for our offshore customers such as Royal Dutch Shell, Exxon, and Chevron. As world class submarine cable suppliers we’ve seen our submarine cable growth expand exponentially over the years taking lessons learned from over 200 years of submarine cable manufacturing and applying them to new and improved scientific technologies in submarine cable manufacturing. As Americas top Custom Submarine Power Cable supplier we manufacture the very best products, in a dizzying speed, for a price that makes sense to the project owner. As the chosen Submarine Power Cable suppliers that other manufacturers turn to when they need a custom product, an extra large construction, or a short run of submarine power cable we are your best choice for your next undersea project. As one of the only United States submarine power cable suppliers it’s important that we continue to improve our ability to supply you with the very best quality undersea submersible submarine cables on the market. Supplying you with the very best High Voltage submarine power cable manufactured using the highest quality equipment and manufacturing techniques ensuring you are buying a cable that will last a lifetime. Supplying cables to meet global demand for energy is growing by more than a third over the period to 2035 (IEA World Energy Outlook, 2012). This has great significance for the distribution of power through the development of greater subsea high voltage submarine power cable. 1XTech Subsea Submarine power cables are used for transmission of electricity to islands, fjords and coastlines. Maritime conditions can be rough and sets high quality requirements for the products. We deliver this type of cable systems for all voltages from 600V up to 525 kV. Through our supply chain we have over 200 years of history in cable manufacturing we have demonstrated the durability of our solutions over and over again. When you require Low Voltage Submarine Power Cable Suppliers to supply you with 150V through 600V applications 1X Technologies makes numerous custom low voltage submarine cable constructions. We produce 600V Submarine Cables with hundreds of conductors up to 6 inches in O.D.! Ask about our armored and unarmored heavy duty AquaFlex™ Compact Submarine Cable Line typically used for Instrumentation, RTD, Analog, and any other signaling or transmission you would use standard cables for, but we manufacture extremely durable versions that withstand saltwater submersion in the undersea environment. These cables are purchased with armor and without armor if an even more compact design is required. Depending on how deep the submarine cable is being installed will greatly affect the submarine cable installation. If you’re doing an install in open ocean depths in the many hundreds or thousands of feet the cables will most likely installed by ship, or what we call a submarine cable boat. Submarine cable installation companies have a variety of techniques when pulling the cable across the ocean, but these are age old techniques our forefathers used back in the late 1800s and early 1900’s. Installation of undersea submarine cables has been done using this method since the beginning of cross ocean communications and power. Submarine cable has a long history not just that America but also the United kingdom, Asia, and all parts of the world which use under sea cables, or submarine cables to transmit both communications and power. Submarine cable installation companies use the submarine cable boats to unwind many thousands of feet, many miles of submarine cable. What does a submarine cable look like? Considering that there are literally hundreds if not thousands of different types of Submarine cables, submarine power cables, and submarine communication cables, the description of what does a submarine cable look like is one that can change depending on what type you’re asking for. Here is a very nice YouTube video we like that shows submarine cable being wound on ship, as well as the cable being laid into the ocean so you can see what a submarine cable really looks like. Keep in mind there are quite a lot of different constructions of submarine cable, but this is a fairly standard open ocean submersible submarine cable. Construction of a submarine cable begins at the cable manufacturing facility. Materials are ordered in through the supply chain and trucked in to the manufacturing facility before construction can begin. Because Submarine cables are so large and typically very long, the truckloads of materials are fully loaded, 40,000 lbs worth of copper rod, galvanized steel for the armor, plastics for the cable jacketing, and many other components that go into the construction of a submarine cable. Most people will never see a submarine cable being constructed but at 1X Technologies we make the very best submarine cables, submarine power cables, and custom sub-sea signal production components anywhere in the world. When it comes to Submarine Power Cable Manufacturers, 1X Technologies is your best choice for American Made, high quality products when you need a short run 1000 Feet or less, or when you need a custom submarine cable with Power – Control – and Communications, we are you best Submarine Power Cable Manufacturers. We make custom submarine cable solutions for other leading manufacturing companies in the submarine submersible cable market because they do not make short runs or extra large custom constructions. Additionally, when you need extremely long runs of Submarine cable for internet or other communications applications where Fiber Optic or Optical Fiber Submarine Cable is run, we are your top suppliers of standard submarine cable from some of the worlds top manufacturers of simple, every day submarine cable. We are both your manufacturers and your suppliers depending on what type of cable you need. Our Electrical Submarine Power Cable Manufacturing capabilities are vast. Please visit “Manufacturing Capabilities” to learn more about the customization that you can buy in your undersea submersible submarine cable. When it comes to Submarine Power Cable Specification or submarine power cable catalogue, there is nearly an unlimited array of options you can choose for your project. We supply you with such a wide array of different Submarine Cable Specifications that you can literally dream it and we will make your vision a reality in submarine power cables. Your specification may call for differences in armor, conductors, jacket style, or many other changes that will make your submarine cable specification one of a kind. Below is an example of a custom Combination Submarine Power Cable, Submarine Control Cable, and Submarine Communications Cable, all in one. Because the voltage is 2000 volts it would be referred to as a medium voltage submarine power cable. Medium voltage refers to cables that are 1000 volts through 46,000 volts (1 kV – 46 kV) for Power Distribution in submersible cables. To order this style listed below with steel wire armor (SWA) typically we have to produce a few thousand feet and it is for ocean depths. When it comes to riverbeds with depths under 500 feet when customers require short runs of cable, typically for a drawbridge application, we supply and manufacture a submarine cable which has a Galvanized Steel Interlocked Armor (GSIA) as opposed to the often more expensive steel wire armor. Submarine Power Cable includes DC and AC types, they are mainly used in transmitting high voltage electric power from mainland to island, island to island and mainland to platform. Please keep Submarine Cable repair in mind when you are making your initial investment in your submarine cable, whether it be a submarine power cable or a submarine communications cable to please take all measures necessary to ensure you are buying quality cable and accessories. You do not want to be worrying about submarine power cable damage or your cable snapping or something going wrong over and over again because you bought a cable made in china that has a low price tag, but that you have to replace 3 times. Below is an article from the Daily star which talking about a submarine cable continuously snapping. The country’s international telephone and internet communications were disrupted yesterday as the submarine cable that connects Bangladesh to the information superhighway was snapped in the sea near Alexandria, Egypt. Sources in Bangladesh Telegraph and Telephone Board (BTTB) said the Submarine Cable SEA-ME-WE4 was snapped in Alexandria, disrupting the country’s digital communications to the western world via Italy and France. However, communications with Singapore and Malaysia were fully operational. The submarine cable connects Bangladesh to the information superhighway at four points in Italy, France, Singapore and Malaysia. According to BTTB, the line was supposed to be restored within early yesterday night. This was the first time for Bangladesh that data communication was disrupted because of the submarine cable being snapped under the sea. As bulk of data transmission relies on the connectivity with Italy and France, the BTTB gave alternative satellite support for telecom services while the Internet service providers (ISPs) gave backup services using Vsats. However, the data communication was very slow. “But we are expecting restoration of the services. The consortium [that built the SEA-ME-WE4 cable] is taking care of the restoration work of the submarine cable,” said a BTTB high official yesterday afternoon. “If it happened in the Bay of Bengal, we would not be able to restore the line because we did not ask for a restorable circuit during the installation. The consortium offered us the choice of installing these circuits which facilitate restoration of the line when snapped,but we did not take it to save cost,” he said. The $35.1 million submarine cable was launched in 2006. Ever since there have been more than two dozen rounds of disruptions — all caused by problems with the on-land fibre optic line. Each disruption deprives BTTB of $70,000 revenue per hour. Sources said the SMW-4 cable has a capacity to handle 120Gb bandwidth, of which Bangladesh currently subscribes to 14Gb. The BTTB has already cashed in more than Tk 200 crore revenue through rental of bandwidth. Again, please do not fall for the made in china price when it comes to submarine cable. The folks above wish they would have gone with a better solution on their cable after losing out on so much revenue. Accidents do happen and even the highest quality cables can get damaged but you want to be sure you are putting in the best product you can the first time. Your early cost savings could end up costing you many millions of dollars. Additionally, keep in mind the environmental cost each time you are making these repairs have on submarine power cables design installation repair environmental aspects. This is a very nice walk through tour of a communications submarine cable boat. The Submarine Cable ship tour is over 43 minutes long so if you have got nothing better to do and want to see a nice walk through as if you were there in person check this out. From Wired: The entirety of the 100-metre-long ship, which was completed and made its maiden voyage in 2014, is structured around its cable store room. With a capacity of 9,000km (5,592 miles) of cable, the central room (cable tongue) is filled by hand. For its 20-day journey into the North Sea, the boat is being restocked with just 9km (5.5 miles) of undersea connections, a feat that takes several hours to load. Seven men are required in the cabling room to physically grab and guide the cable around the outside of the room. On the deck above them, more engineers feed the cable through the boat and inspect its internal fibres. Before the Pierre de Fermat sets sail it must ensure the cable is operational; the onboard crew physically cut the cable with a Stanley knife blade to inspect and then test its data-carrying capability. Willy Poulain, the ship’s engineering leading, says onboard generators can produce 10,000 volts that are passed through a cable to ensure it is up to the job of transporting some of the world’s internet traffic. 1X Technologies manufactures custom and specialized submarine power cables and combination submarine cables that includes Power, Control, and Communications. However, when it comes to deep sea internet submarine cables we work in partnership with some of the worlds top brands of submarine cables. When these companies need a short run of submarine power cable or a custom construction they often come to us, and when our customers need a general, cheap, standardized submarine cable which typically applies to fiber optic or optical fiber style submersible submarine cables, we turn to our partners for a supply chain that is unmatched across the wire & cable industry. Here is a list of some of the companies we can either partner with or produce equivalents to when it comes to your subsea cable designs. Whether you need a supplier for Hengtong Submarine Power Cable or you need an equivalent product manufactured in the USA, 1X Technologies is your best supply chain partner for all your submarine cable, undersea cable, and submersible cable products. Contact us today for a specialized equivalent to Hengtong Submarine cable, made in the USA. Or, if you require an actual Hengtong Sub cable specification we will partner with you to supply this cable from your trusted American team at 1X Technologies, handling all the heavy lifting and translation to ensure the cable meets our extremely high standards. If your project requires a specific cable which has already been specified or previously produced by Sumitomo Electric we can provide you with the best supply chain possible allowing you to order your Sumitomo Electric Submarine Cable from 1X Technologies, or depending on the design and quantity we can manufacture the cable as a short run here in the United States giving you an alternative or equivalent to Sumitomo Electric Submarine Power Cable. Sumitomo Electric’s HVDC XLPE cable enables polarity reversal operations and also significantly higher operational conductor temperature (90°C) to that of MI cables. These features allow customers to achieve various benefits including reduced CAPEX, increased operational margins, polarity reversal operations with conventional LCC converter or combination of cable and overhead line in the same system. Our HVDC XLPE cable systems provide solutions to satisfy the customer’s various requirements. Sumitomo Electric has an extra edge particularly in the field of long-distance, large-capacity, internationally linking DC submarine cables over which cable manufacturers are in fierce global competition. Owing to its capability of material development, Sumitomo Electric has developed the world’s top class DC insulator materials including nano-filler DC-CV insulator materials and polypropylene laminated paper (PPLP), and continues developing and producing DC cables capitalizing on its superiority in this field. When it comes to manufacturing custom XXXL large sized Submarine Power Cables 1X Technologies makes specifications exactly to our partners liking. Submarine Power cables from 1X Technologies are proven to be highly reliable and ABB, General Cable, Hitachi, Nexans, and J Power turns to 1X for short runs and custom constructions when delivery time matters. If you require an equivalent to a particular specification or if you would like a quote on a cable to which you currently have the specification in hand just let us know and we will be happy to be your Distributor and supply chain partner anywhere in the world. ABB, General Cable, Hitachi, Nexans, and J Power are some of the world’s most experienced manufacturers of large submarine power cables. XLPE cables possess high chemical resistance to oil and solvents, excellent tensile strength and high abrasion resistance. The cables can withstand high short-circuit temperatures and the dimensional stability above 90ºC is very good. XLPE cables also have a high AC voltage breakdown strength. ABB can also offer dynamic power cables which can accommodate the movement of floating platforms. Below is both an informational video showing you the worlds undersea internet cables as well as a list of Submarine power cable map locations you can view to see many of the worlds submarine cable mapped out. This is not exactly a Submarine Power Cable Map, and that is because Submarine power cable is also used in thousands upon thousands of other locations not listed below such as on nearly every bridge you cross, every time you drive over a river the bridge is often powered by a submarine power cable, which typically also has some type of control cable and also a communications cable within the same armored and jacketed cable. Submarine Power cables unlike normal undersea sub cables can often just be 100 feet down in a river bed vs thousands of feet down on the ocean floor. The below list is very comprehensive list you can use to view different locations that have Submarine Cable installed, but not all of it is Submarine Power Cable, much of it just being Submarine telecommunications cable for the internet. In addition to the first attempt of Submarine Power Cable, we can look at the Submarine Power Cable Inter-Connectors across the world. In 1954 the world’s first submarine HVDC Cable, Gotland 1, was installed. This was 98km long from Gotland Island to the Swedish Mainland and had a capacity of 20MW. This changed how the world thought about submarine electricity transmission as it was realized that it was now possible to connect to other countries overseas that were previously thought unreachable. For more information on Submarine Power Cable Inter-Connectors advanced submarine power cable & interconnect forum. We just think it is cool to get all the submarine cable manufacturers and suppliers together to discuss the business intricacies and the changes that are always taking place. If you get a chance to go to this feel free to look us up and lets talk about how we can work together in the future. There are many new technologies needed to locate faults within submarine power cables. Truly, you will need to choose from a plethora of different methods depending on your cable, how it was installed, and what issues you are having currently. One great resource for Submarine Power Cable Fault location, finding and deciding what you will do is located here at research gate. Let us know if this helps, and if you need anything else regarding Submarine Power Cable Fault Location feel free to contact us via email or give us a call at 888-651-9990. If one of these questions or queries sparks your mind to think up a new question feel free to email us or give us a call and we will be glad to try to help you out with that. We look forward to earning your business for your custom submarine power cable. submarine power cable price list. submarine power cable cost per km. advanced submarine power cable and interconnection forum. cost of submarine power cable per km. installation of submarine power cable. types of submarine power cables. hengtong submarine power cable co. ltd.
submarine power cable hs code. general cable submarine power cable. submarine power cable design pdf. submarine power cables design installation repair environmental aspects. sumitomo electric submarine power cable. submarine power cable fault location. 5th annual advanced submarine power cable & interconnect forum. hvdc submarine power cable manufacturers. high voltage submarine power cable. submarine power cables in india. longest submarine power cable in the world. submarine power cable manufacturers in india. hvdc submarine power cables in the world. submarine power cable 3x95mm2 6 kv. low voltage submarine power cable. 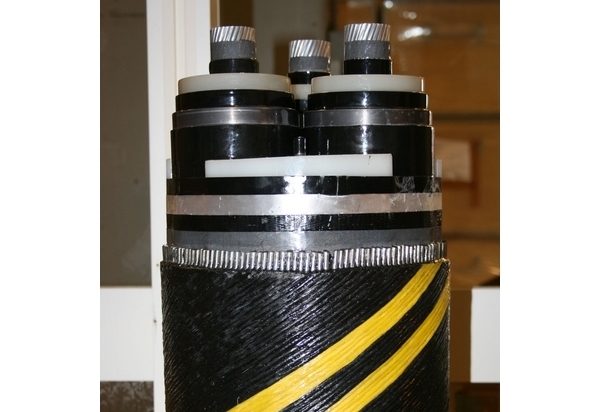 medium voltage submarine power cable. submarine power cables thomas worzyk pdf. submarine cable repeater power supply. thomas dworzak submarine power cables. 7th annual advanced submarine power cable and interconnection forum. submarine cable around the world. what does a submarine cable look like. how does a submarine cable work. what is a submarine cable system. submarine cable how it works. submarine cable suppliers in uae. submarine cable supplier in singapore. submarine cable manufacturing companies in india. submarine cable manufacturers in canada. submarine cable manufacturers in korea. bangladesh submarine cable company limited.